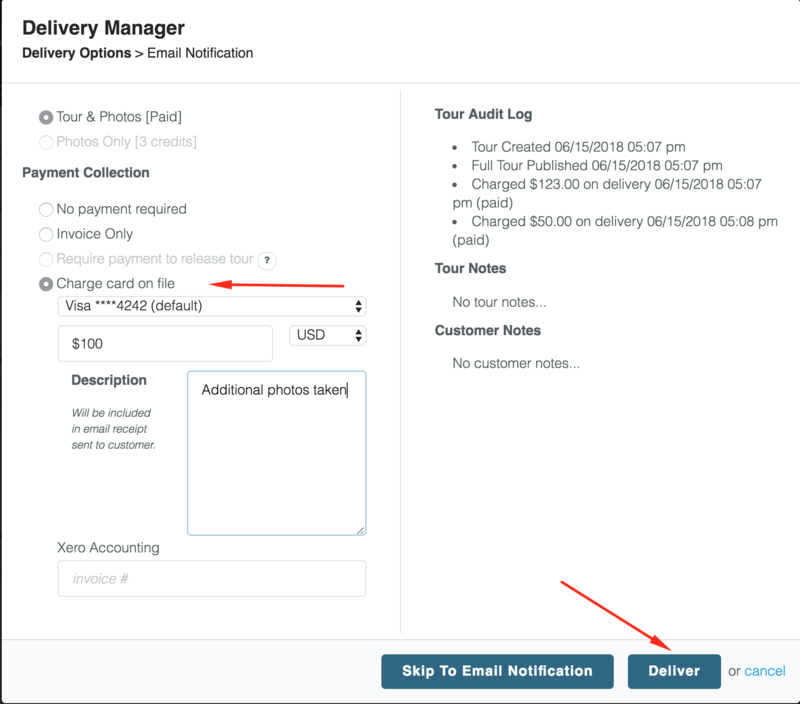 With the Delivery Manager, you'll have 1 workflow that will allow you to be able to deliver tours and photos, add invoice information, require payment upon delivery, as well as make edits to your payment requirements and resend announcement emails. We've moved the status of your tour to the notification box. 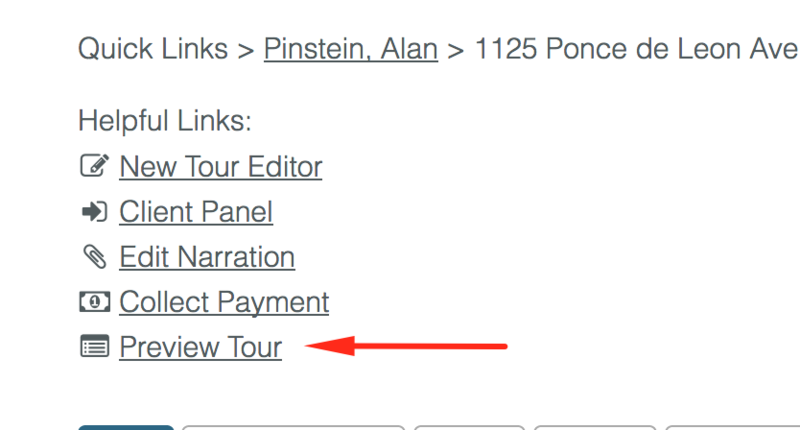 Need to preview or view the tour? We've made it easier for you! 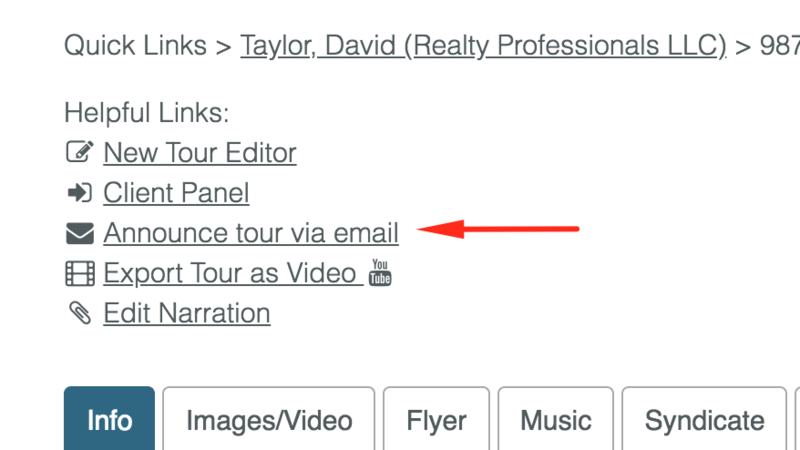 The preview/view tour link has now been moved under "Helpful Links"
Need to resend an announcement or payment request email? No problem, the Delivery Manager has a workflow for that! We've removed the separate link within helpful links and moved it to the Delivery Manager - this way, you can now resend emails while also being able to accomplish other tasks like adding invoicing numbers and collecting additional payment. 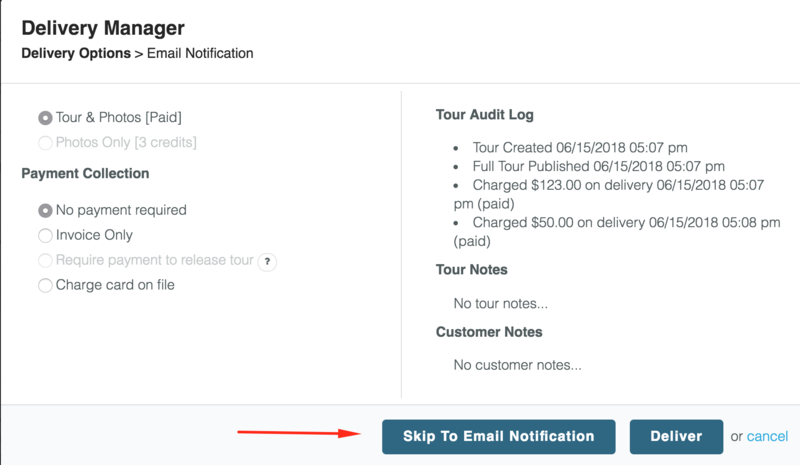 Simply click on Delivery Manager, and if no other changes need to be made, click "skip to email notification." Uh oh! I put the wrong amount for the required payment or my client requested an upgrade. No worries - back to the Delivery Manager! Within the Delivery Manager, you'll have the ability to upgrade from Photos Only to Tour & photos, as well as make changes to the required payment amount. Once you've made your changes, click deliver and a new email with the new information will be generated for you to send. 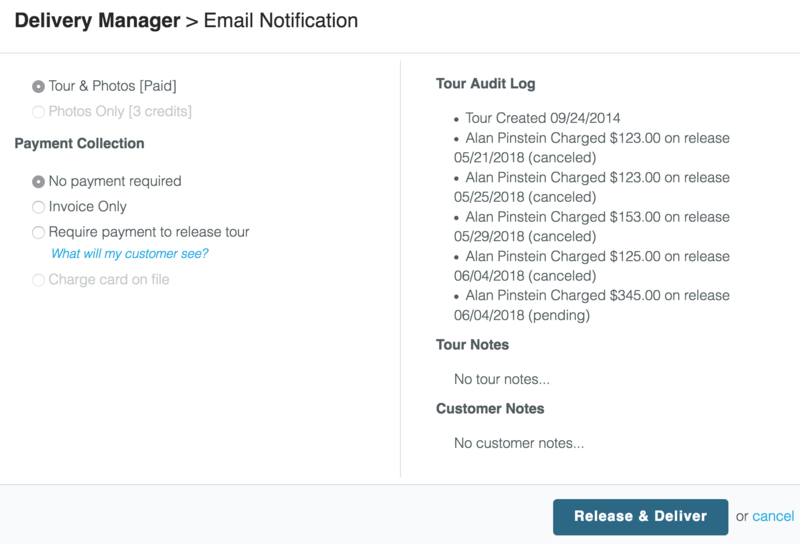 There is now an audit log showing you when the tour was released or payment was requested. We'll also show you when a new or additional payment was requested. Need to release the tour without payment? 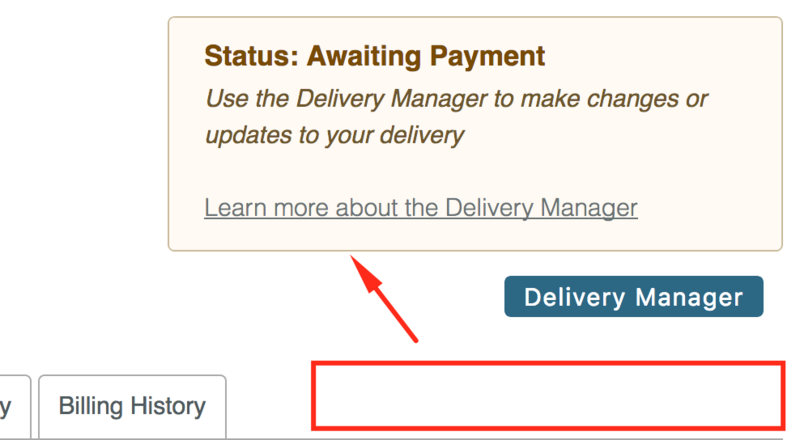 Simply enter the delivery manager, change the payment requirement to "no payment required" and click release & deliver. Need to collect an additional payment for additional services? Use the delivery manager, select "charge card on file," input the new charge amount along with any notes regarding this charge, and click "Deliver."